Dairy farmer Brendan Gildea reckons there is a “fantastic opportunity for conventional tillage farmers to switch to organic”, and he believes the fodder shortages resulting from the recent drought could convince people to make the change. Brendan, who farms in Dunmore, just outside of Tuam in Co Galway, buys organic fodder from tillage farmers in the east of the country, but has had to import this year. “Unfortunately, there is a very short supply of Irish organic grains with no volume available here since February so I have had to import,” he says. 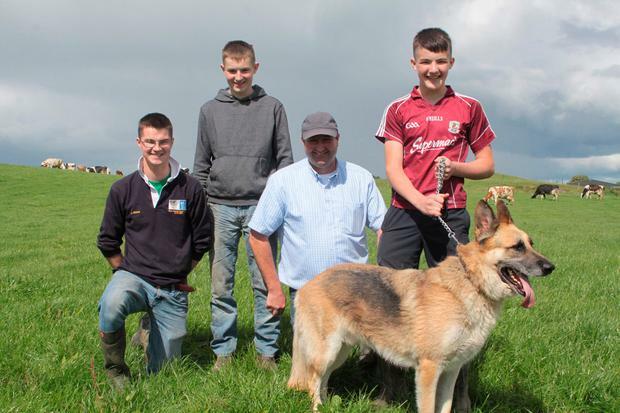 “There is a fantastic opportunity out there for conventional tillage farmers to consider organic farming, and it would not only provide opportunities for them but also for Irish organic dairy farmers. Brendan himself switched in 2007. Then, he was milking 70 cows with one robot, increasing to 90 cows and two robots in 2010. Now he has 200 cows in the herd milking 170 year-round with three A4 Lely robots. 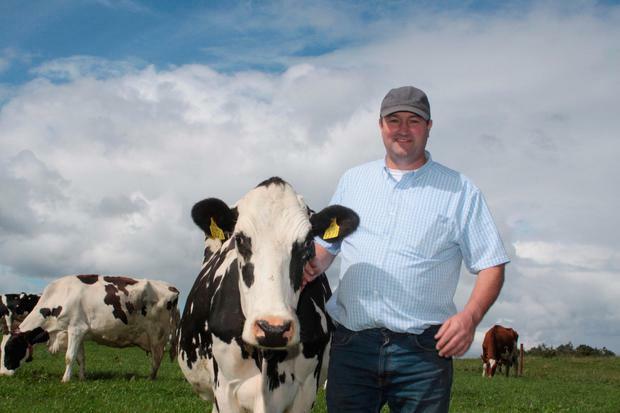 Brendan credits the quality of his pedigree Holstein/Friesian herd as he averages 8,500litres per cow. “When I converted to organic the yield did fall,” he says. “However with some expert advice, experience and getting the land right I have managed to get the yields back up to a level that I am happy with. “Red clover is a cornerstone and the real driver here. When you get soil conditions right it is very encouraging to see what red clover can do on an organic farm. The milk from the farm is processed by Arrabawn for the organic liquid milk market. Brendan stresses that the key thing in organic farming is that you “have to be aware of feed security and carry the correct amount of stock for the farm”. “You also need to make enough silage for six or seven months of the year so in a very difficult year like this you are not under severe pressure,” he says. “We have 120acres of red clover silage on the farm and every year we try for four cuts: we always get three but four is the aim. “I work hard to maintain organic matter in the soil and the red clover grew really well in the drought as it has a deep rooting system and it was able to extract moisture retained by the soil. “The second crop grew well; I spread slurry on it with a trailing shoe. As clover is a late starter in spring, the first cut is nearly always cleaning out the paddock and silage will have 72-74/dmd value and 12-14pc protein. On the farm the Gildeas get five to six years from the red clover silage, which certainly provides value for money. Then they break the crop for three years with barley and peas and oats, which are grown for wholecropping. This is placed in a pit and red clover silage placed on top. All going well, a forage rye crop will go in early September to further assist with fodder requirements on the farm.